After my trip to Tennessee’s Whiskey Country, it was just a short distance to the Kentucky Bourbon Trail. 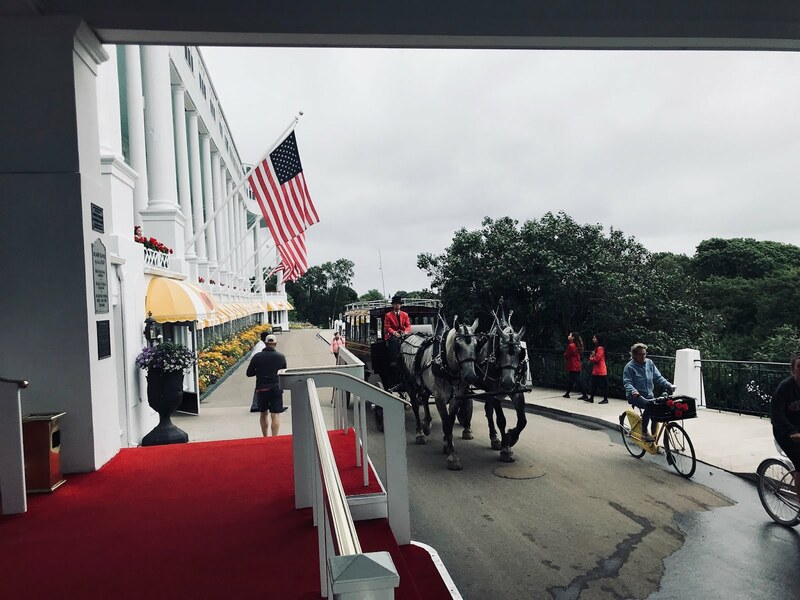 Between the incredibly green Bluegrass and the stables of horses that remind you that this is Derby Country, there are a host of distilleries waiting for visitors. Bourbon is not run through a charcoal filter like whiskey. The first stop in Kentucky for me was Woodford Reserve. It was appropriate since I had horses on the mind the minute I entered the state. Woodford not only makes bourbon, but they have the Woodford Reserve Stables, where you can own your own Thoroughbred. The grounds are just breathtaking and you imagine walking them forever, until you remember the bourbon you came for. 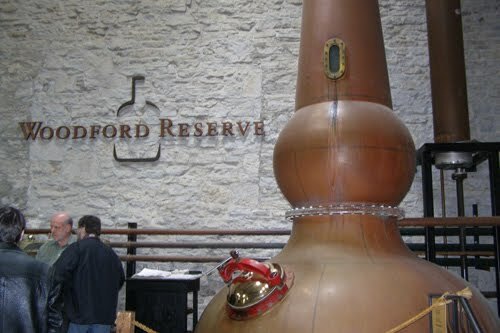 Woodford is the fourth name of this distillery which re-opened in 1996 under Brown-Foreman, who also own Jack Daniels. Woodford’s bourbon is hand-crafted in small batches with high percentage of rye for a sweeter taste than some of the other bourbons. 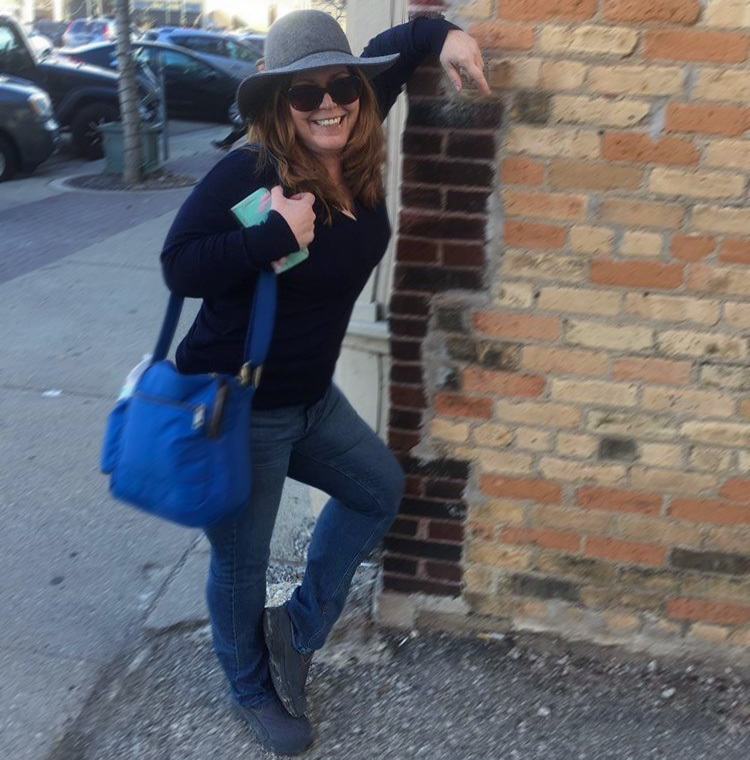 The distillery tour is not only one of the most scenic, but is also the only one I went on in bourbon or whiskey country that was handicap accessible all the way through. It is also the only distillery that charges for a tour ($5) of all the grounds and sampling. 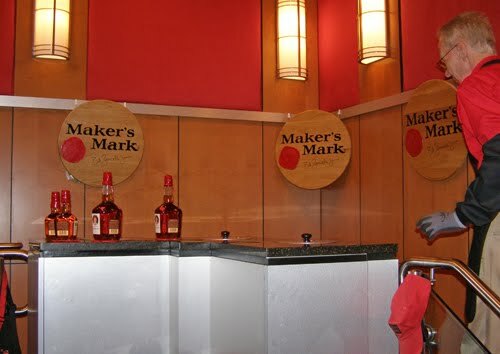 Maker’s Mark, part of the Beam Global portfolio, offered me a completely different atmosphere than the previous tour. You are welcomed into the home of the Samuels family to learn about how their bourbon came about and why there’s red melted wax on the bottle. Along the tour you even get to see the bottle factory and have an option to “dip” your own if you’d like to buy a bottle at the end. Maker’s Mark is handcrafted and recently introduced a new product, Maker’s 46, with made with soft winter red wheat. Wheat is a big factor here as the wheat for the original bourbon was discovered by baking bread to get the grain proportions right. Enter the tasting room to determine this mixture for yourself. Also check out the Ambassador Program, where you can help get the Maker’s Mark name out there and earn your name on a bottle. My final Kentucky bourbon stop was the biggest. The Jim Beam Outpost is in the middle of some major renovations, but the tour is open with plenty to see in the meantime. This is the home of the top bourbon in the world and 80,000 people a year visit here. It is also the home of eight bourbons at last count, including the small batch brands of Basil Hayden, Knob Hill, Baker’s and Booker’s. Despite the fact that It seemed like there was something for everyone at Jim Beam, they brought in a surprise last year and it’s been quite a hit. I had my first taste of the Kid Rock touted Jim Beam Red Stag at the Outpost and it won me over. In general, I’m not a big whiskey or bourbon drinker, but Red Stag is in a place of its own. It’s a bourbon that is black cherry infused and all I can say is this is one of the few bottles on my (very full) bar that emptied quickly. If you do not like your bourbon as sweet, check out the re-launched Jim Beam Black.